The Virginia basketball team put together another NCAA Tournament worthy season a year ago and earned a spot in the field for the fifth straight season. It turned out to be a historic year on both ends of the spectrum. UVA opened the season unranked, but marched to a school record 31 wins and the Associated Press’ No. 1 ranking for the first time since 1982. The Hoos claimed the ACC Regular Season Championship and the ACC Tournament title in incredible fashion. They posted a 17-1 record in the regular season and then swept through the conference tourney to end up with 20 wins against ACC opponents. A week after that feat in Brooklyn, the Wahoos also became the first No. 1 seed in NCAA Tournament history to lose to a 16 seed in the opening round. UMBC shocked them 74-54 in Charlotte. 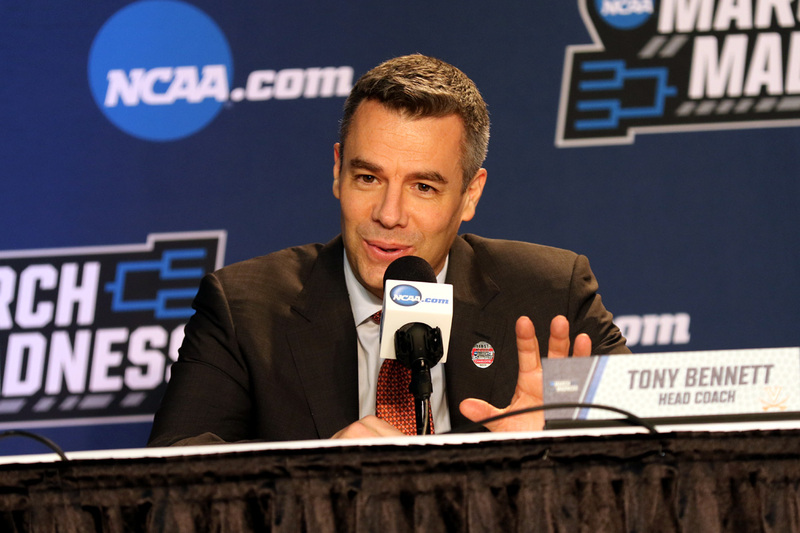 Virginia coach Tony Bennett received wide-spread praise for how he led the team to that level of success and for how he handled the historic tournament loss with unwavering grace. That helped him receive honors that included four national Coach of the Year Awards (National Association of Basketball Coaches, the Naismith Men’s College Coach of the Year, the Associated Press, and the U.S. Basketball Writer’s Association).